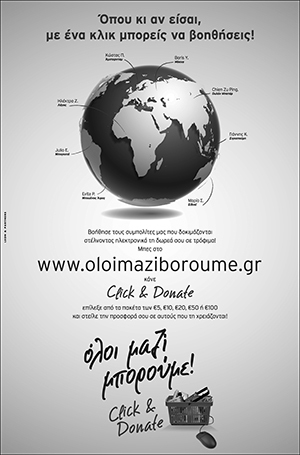 In broad headlines, Apostoli Zoupaniotis of Greek News began a campaign in April 2010 to promote tourism to Greece. His articles ignited the imagination of Asians and Greek-Americans working in the 2010 Census. An education coalition emerged with Dr. John Nathanas, Surgeon/International Leader/Founder of DIAS International Academic Studies and Mrs. Irene Cheung, “2010 Community Service Award” winner of the Chinese American Voters Association of USA Inc. (CAVA and President Elect). A historic Press Conference was held by the Asian Cultural Federation, at 12:30 pm in Laterna Restaurant, 47-20 Bell Boulevard, Bayside, New York 11361 on Thursday, June 24, 2010. “We will announce the first Greek Language Course at the University of Crete, Greece in this summer that our organization will participate in,” said Mrs. Cheung. “Dr. John Nathanas, guest speaker, will present the details of this wonderful program.” 2010 DIAS International Academic Studies Summer Program is stationed at the University of Crete. The college program has six weeks of study. It gives up to ten college credits. For more information, visit www.diascourses.com or email e-mail: acf.nyusa@gmail.com. Members of the Greek_American Education sector attended the Chinese American Voters Association of USA Inc. (CAVA) Gala on Wednesday evening, June 16th, at Queens Crossing, Mudan Banquet Hall, located at 136-17 39th Avenue, 2nd Floor, Flushing. The incoming Board of Directors were honored and installed. Irene Chau Cheung was presented the “2010 Community Service Award”. Dr. John Nathanas, prominent physician, and international Greek-American leader, came with his associates Andreas Koudellou, Director of the 2010 DIAS Summer Program (DIAS International Academic Studies) and Mrs. Artemis Nathenas-Filacouris, Administrator of DIAS. Kathimerini newspaper reported on June 16, 2010 that China’s Vice-Premier Zhang Dejiang was in Athens to sign 14 commercial agreements with Deputy Prime Minister George Papandreou and President Karolos Papoulias. It was reported that Bejing wants to stand by Greece in its moment of crisis. They believe Greece is capable of overcoming the crisis. Dr. Nathans said “we, at DIAS, would like to form a Greek-Chinese coalition to further education study at Crete and future travel by the Chinese American Voters Association. DIAS college program with study in Crete for six weeks will give students up to ten college credits.” For more information, visit www.diascourses.com. Ms. Margaret Louise Skourlis was awarded the title Ms. New Jersey in 2009. She took the D.I.A.S. program. “I watched 3 couples meet there and fall in love and get married,” She said. “We made friends for life. The experience of living with other Americans in Greece was indescribable. The courses I took at the University of Crete in Rethymno included: Archeology, Ancient Greek, Advanced Modern Greek, and Cretan history. I helped dig up artifacts during archeology class in Eleftherna. The program sent us to Santorini. We visited volcanoes and swam in the natural mud ocean of Santorini. It is an experience I will never forget and wish to relive. For more information, visit http://en.wikipedia.org/wiki/Margaret_Louise_Skourlis. What an excellent opportunity to test the idea of a truly global education!